In Stock - Order before 2pm for same day dispatchWant it on Thursday 25 April? Christmas evangelistic booklet that explains the universal and lasting significance of Jesus' birth from Luke 1:31-33. Ideal for giving away at carol services and other Christmas events. Good News, Great Joy by Taylor, William was published by 10Publishing in September 2018 and is our 9532nd best seller. The ISBN for Good News, Great Joy is 9781912373437. Be the first to review Good News, Great Joy! Got a question? No problem! 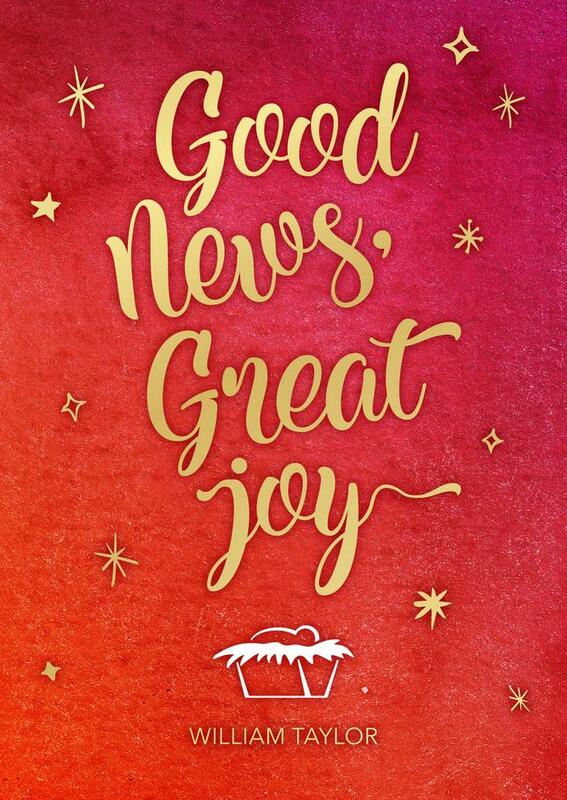 Just click here to ask us about Good News, Great Joy.